Getting a new turntable up and running can be one of the more frustrating experiences any new audiophile will go through. 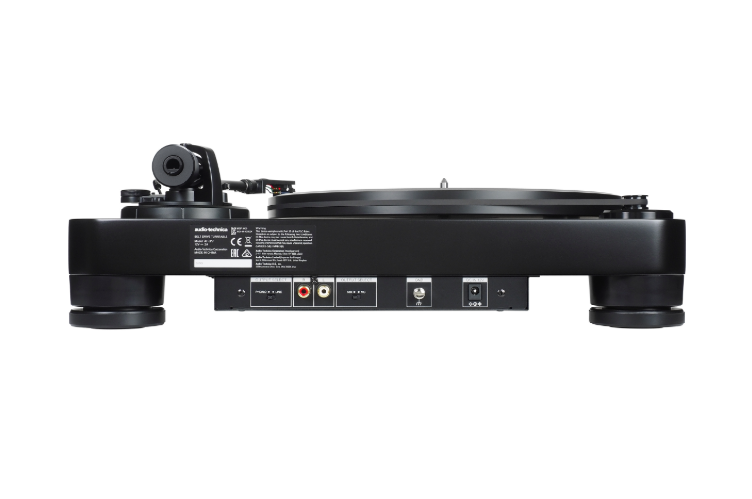 In my opinion, the best entry-level turntables are not only going to have solid performance; they’re also going to be essentially plug-and-play, at least as far as any turntable can be. You don’t want to scare off any budding audiophiles, after all. The LP7 doesn’t disappoint in these regards. Once it was out of its packing materials, I installed the platter, leveled the unit using its adjustable feet, attached the belt, screwed in the headshell, slid on the counterweight, set the tracking force, and was listening to music in fifteen minutes. I tried my best to use only what Audio-Technica supplied with the deck, and found that I missed only two things: a tracking-force gauge and a bubble level. Fortunately, I have both, but some beginners might not. I recommend grabbing these two items if you plan on being in the audiophile game for a while; they’ll come in handy, trust me.